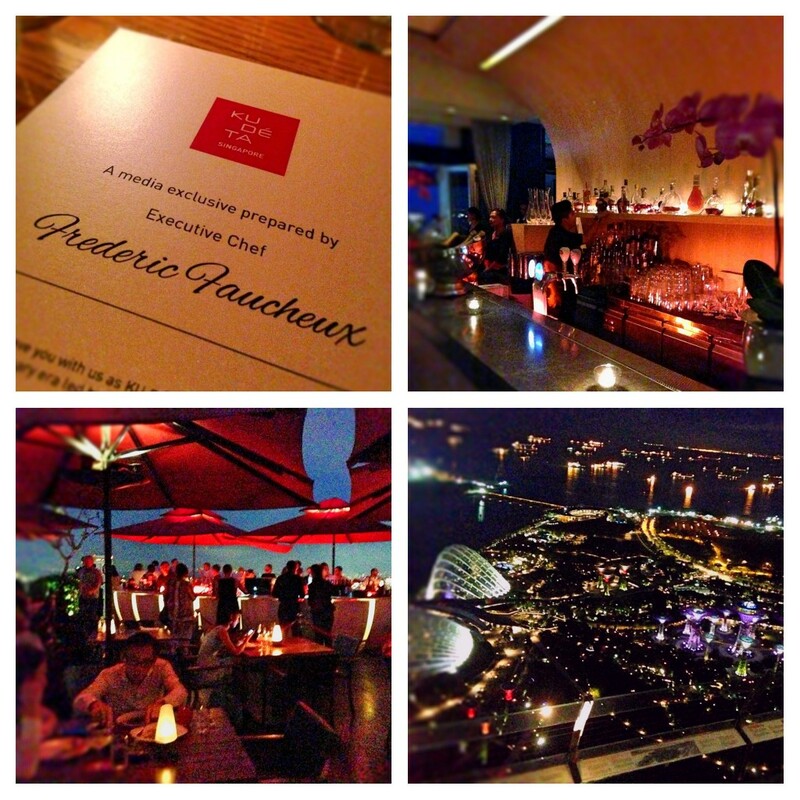 Located in the scenic SkyPark at the now iconic Marina Bay Sands hotel, Ku De Ta Singapore throws one hell of a classy party. Winning the Epicurean Star Award for Best Asian Fine Dining Restaurant 2013, it’s ironic that Ku De Ta Singapore has actually positioned themselves as more of a semi-fine, ‘social dining’ affair. There’s still a smart casual dress code though, so don’t put on those flip flops just yet. Approach the Ku Dé Ta counter staff at Marina Bay Sands Tower 3 to grace them with your arrival, and they’ll send you up to a completely different world. Quick tip for visitors: instead of paying SGD $20 a ticket to go up to the SkyPark observation deck for non-hotel guests, you might as well pay the SGD $20 to Ku De Ta for a cocktail and still get to go up for a similar view. Excuse the grainy photos as it was really dark and I’ve yet to buy a decent flash. Or a decent camera for that matter. I’ve been to the original Ku Dé Ta Bali and even though they’re supposedly 2 different concepts, there are still common themes with Ku De Ta Singapore I find very similar, like a dark exotic atmosphere with warm highlights and the signature red umbrellas. Differences are still glaring, with Bali’s version exuding a more beach lounge vibe while Ku De Ta Singapore more a chic club in the city. 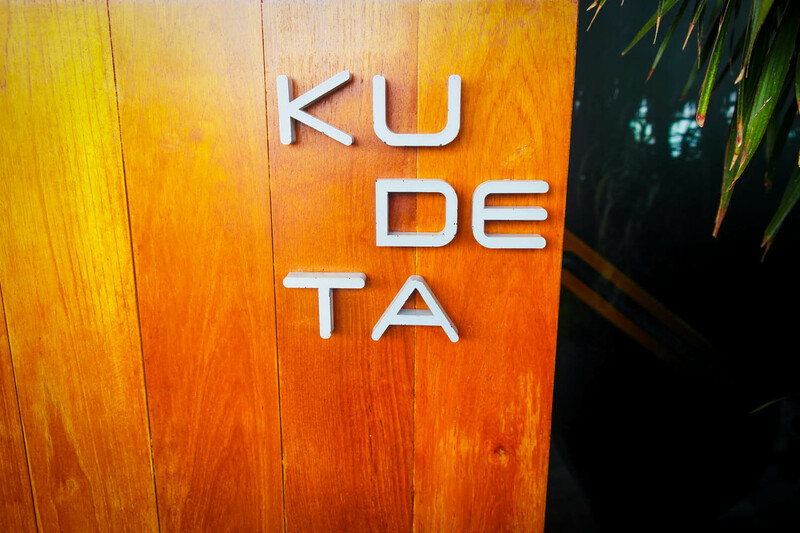 While Ku De Ta Bali gives you a view of the beach shoreline, Ku De Ta Singapore gives you a magnificent view of the city skyline. A special tasting menu by New Executive Chef Frederic Faucheux has been put together for us tonight. Chef Frederic was previously Executive Chef of award-winning international Japanese restaurant Nobu, and brings his Japanese inspired, modern Asian touch to many of the dishes. 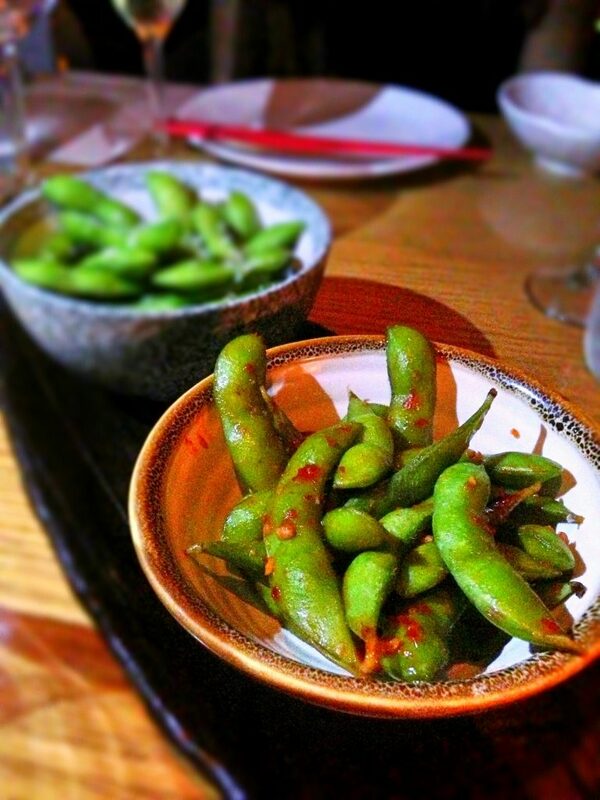 Edamame ($12) beans served in 2 styles: chilli and garlic or plain salted. A very simple dish commonly seen in Japanese restaurants, but spiced up to stimulate an appetite. 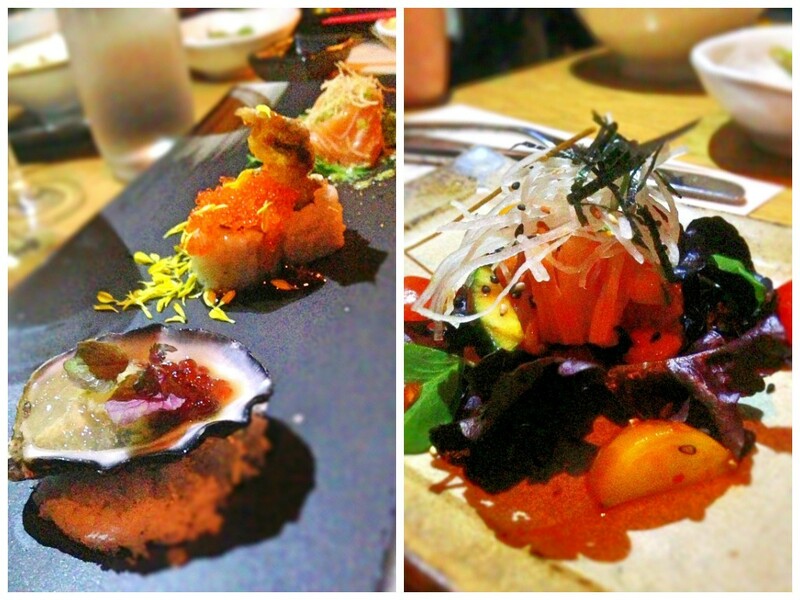 On the left from the bottom, we have a platter of Oyster with Kombu Jelly and Ikura ($38 half dozen), Soft Shell Crab Roll ($25) and Salmon Sashmi with Shishito dressing ($24). On the right, Spicy Sashimi Salad ($23). All dishes have been portioned into tasting size. So far the meal has started with very Japanese style appetizers, utilizing a lot of sashimi and fresh seafood. I especially enjoyed the fresh oyster paired with Ikura and the Kombu (kelp) jelly for a oceanic, salty kicker after slurping down the oyster whole. The Spicy Sashimi Salad which had salmon, tuna and avocado was also refreshing with a subtle citrus heat from the spicy ponzu dressing. The bite textures combined from avocado, salad and raw fish also gave a more enthralling taste. Heirloom Tomato Salad ($17). 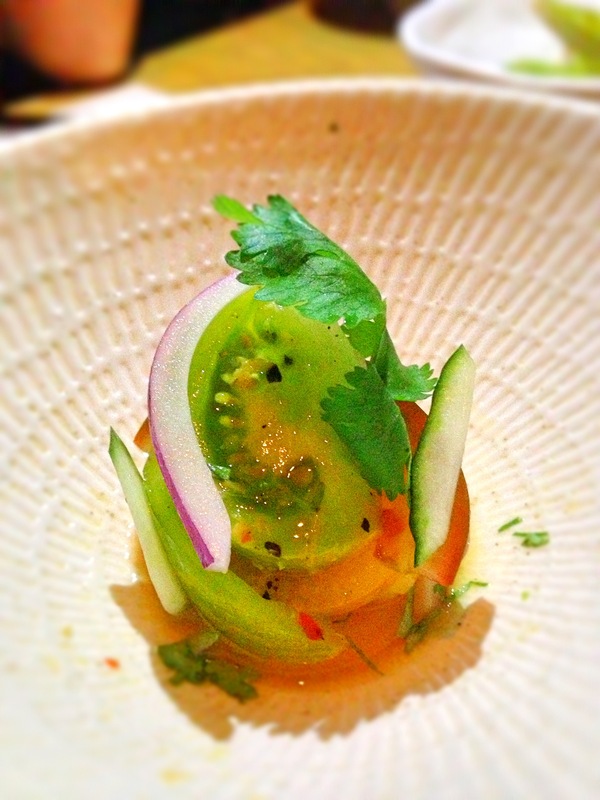 An extremely basic dish with spicy sour yuzu dressing, cucumber and coriander on top of French heirloom tomato. A sweet, onion flavour which compliments with the yuzu. I think this dish really depends on a high quality of tomato, which I’m afraid is quite hard to import in our little island. For long journey exports, tomatoes are picked from the vine unripe, which then ripen during the delivery. However, quality is quite different from tomatoes that ripen naturally on the vine, which have low shelf life and cannot be exported. A true conundrum. 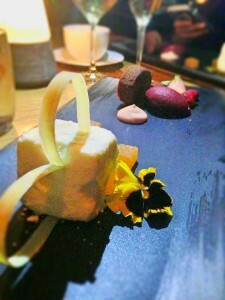 Foie Gras ($38) with Nasu (eggplant), Goma (sesame) and Sake Jelly. 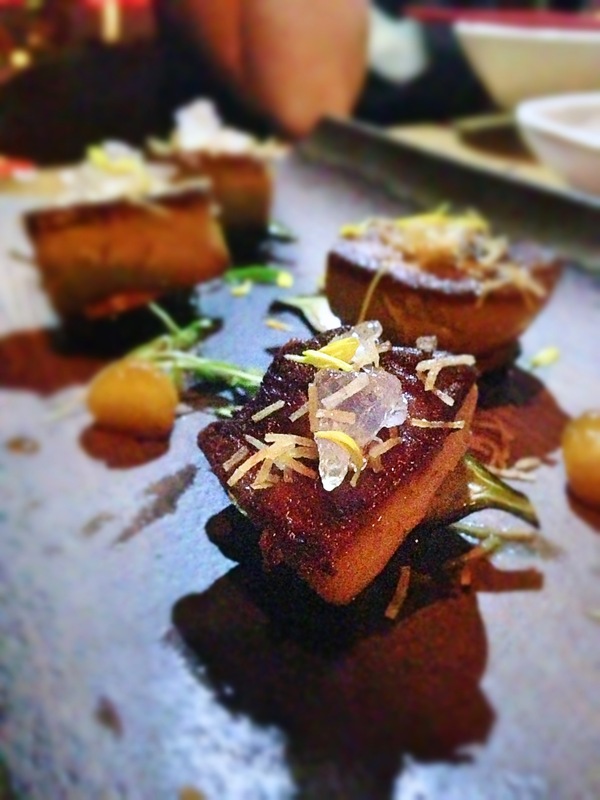 The Foie gras is pan seared in Sake rather than red wine, and sits between the Sake jelly and Nasu, with poached pear to compliment as well. My favourite dish of the night, this is beautifully executed and flavour balanced, with the Sake jelly, pear and Nasu contrasting the heavy umami Foie Gras with aromas of fruity sweetness. 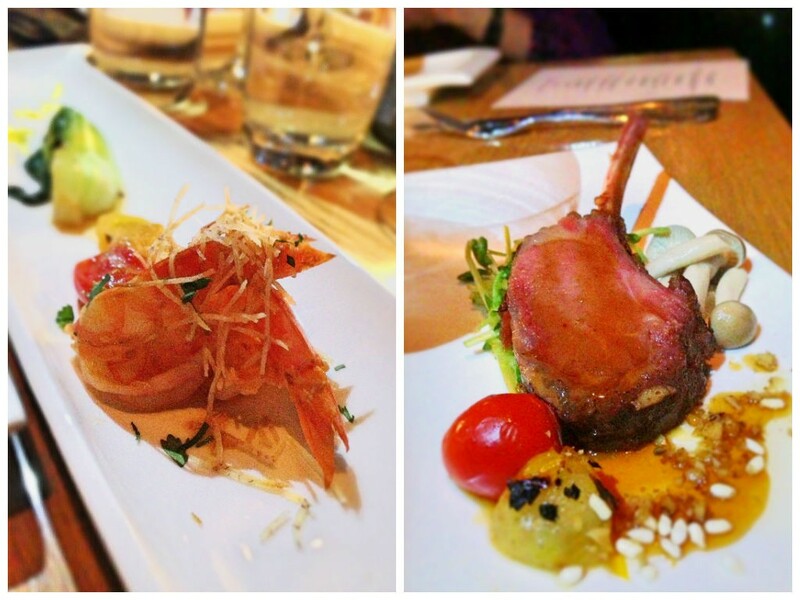 From left: Pan-fried Tiger Prawn ($38), Rack of Lamb – portioned ($48). The lamb rack was pretty interesting, with fried Japanese rice to add crunch, with Walnut jus and pickled Shimeji to add some sweetness to cover the gamey lamb scent. 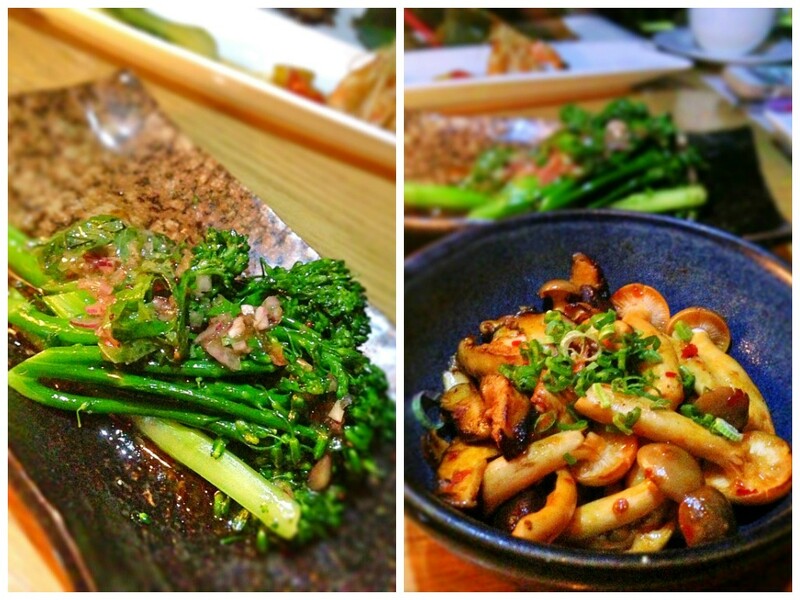 From left: Broccolini with shiso salsa ($14), Spicy Fried Mushroom ($14). There was very mild salsa taste with the broccolini, while the shimeji mushrooms were fried with garlic, chili and sake soy for the extra fragrance. Aubergines ($14). 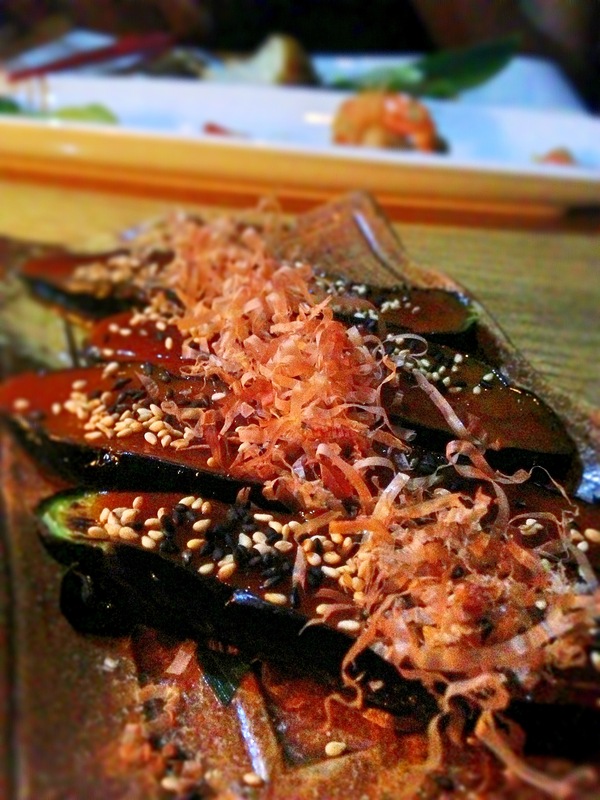 Bonito flakes with sweet miso dressing gives the soft aubergine a smooth sweetness and slightly more flaky excitement. I hardly eat aubergine, but this was quite pleasant. For desserts, we had the Frozen Cheese and white chocolate ($18), as well as Garam Masala cake ($18), which I’m afraid my photos could not do justice to. Bad photos, bad boy. Very unique desserts, and really loved the frozen cheese’s texture which was not a cake, not an ice cream, yet firm and creamy. The cheese flavour was also not overwhelming and smooth to do down. The Garam Masala had strong notes of different spices used as well as chocolate, and is weirdly, the most complicated dish tonight in terms of taste profile. The sour berry sorbet also serves to cut through the heavy flavour. It’s not for everyone surely. The cuisine style of Ku De Ta Singapore is very Japanese influenced, using many simplistic methods of preparation with basic ingredients and added twists of spiciness and sweet sourness. A stark contrast to the bold, complex Spanish dishes like Catalunya Restaurant (which is also a sister company of Ku De Ta Singapore). There is also an emphasis on communal dining like typical Chinese dinners, where items are served in group portions to be shared in the middle of the table. I find the service quite endearing, with service staff pulling out chairs for you making you feel like a Sir. Charming indeed. Honestly, I wasn’t blown away by the food and the price tag is really for the ambience and service. Expected Damage: $120/ pax (There is a minimum spend of $80++ per person during dinner) Recommend Booking.